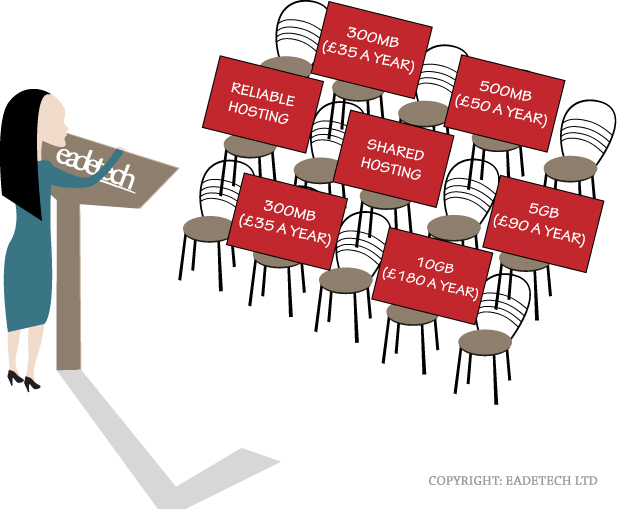 Do you need web hosting services for you or your business? Although our main business is web design, we have a need to provide our customers with many services for an all-in-one integrated service. All our packages have discounted rates with offer codes from facebook - So check our facebook page at http://www.facebook.com/eadetech to get your offer code. (30 day cancellation notice) would be required. If you require a new website to be designed to help your brand visibility and to showcase your services or sell products online, we offer a competitive rate on our web services. Eadetech Web Design provide a one-stop-shop for all your website needs, so fill out a contact form or call us for more information.